The Patrol Division is comprised of 21 officers. 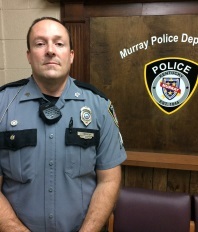 Patrol officers work five 8-hour shifts each week. 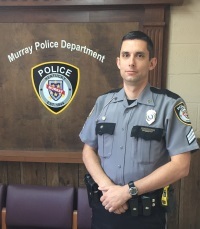 A Watch from 5:00 a.m. - 1:00 p.m.
B Watch from 1:00 p.m. - 9:00 p.m.
C Watch from 9:00 p.m. - 5:00 a.m.
Each shift is staffed by a Captain, Sergeant, and Patrol Officers. Patrol has many responsibilities. These include traffic enforcement, accident investigation, preliminary criminal investigations, city ordinance enforcement, and they assist with various community programs. The patrol division works closely with other state and local law enforcement agencies. The patrol division is equipped with some of the latest equipment. Each patrol unit is assigned a video camera, shotgun, rifle, pepper ball launchers, and many other items of essential equipment. Seven marked patrol units and one marked K-9 unit are utilized. 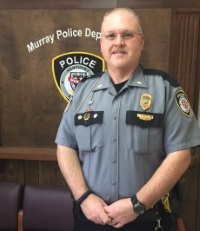 The Murray Police Department, in conjunction with the Murray Calloway County Hospital Foundation is utilizing the AED (Automatic External Defibrillator). We currently utilize the AEDs for twenty-four hour coverage of the City. Officers from each shift are assigned to carry the AEDs during their tours of duty. 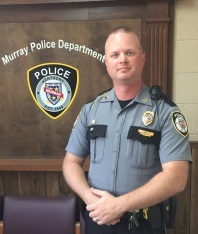 All officers of the Murray Police Department are certified in basic first aid, CPR, and AED use through the American Heart Association.